Pallet cars are one of the important components of a sinter machine. Sinters are made by igniting the surface of the raw material fed into the pallet car while suction from the underside forces air downward. Sinter grate bars are used to make this possible. 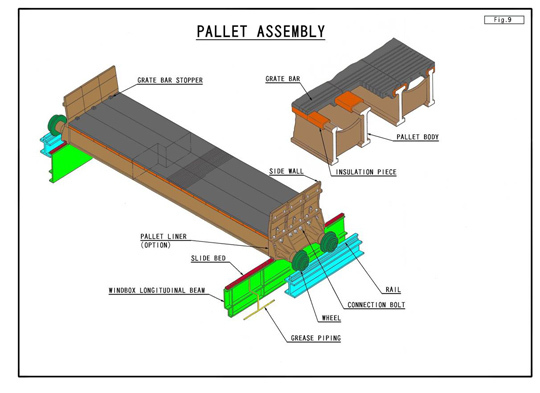 Because technology to expand the width of the pallet cars has been adopted, only minimal retrofitting is required to increase the production volume of the sintered ore.
Grate bars that take permeability into consideration are used at the extension points. This ensures complete sintering without the return fines that occur in the extension points of competitor products. 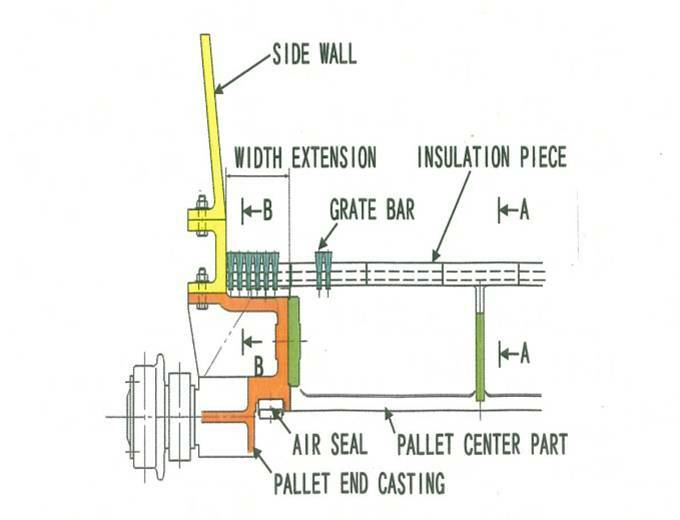 Adopting the Steel Plantech’s expansion pallet car will allow you to maximize the production volume of sintered ore.
We appreciated the fact that no major retrofitting or huge investment was required to adopt the pallet car extensions. What is more, we realized that the increase in the production volume of the sintered ore was even greater than we anticipated before adoption. It can be applied regardless of the type of the existing sinter machine and or the current pallet width. 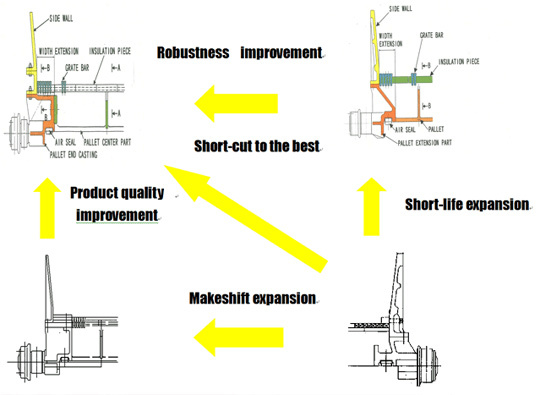 Existing equipment can be fully utilized to increase the production volume of sintered ore with little retrofitting. This is technology that enables an increase in sinter ore production volume with only minimal retrofitting of existing sinter machines. 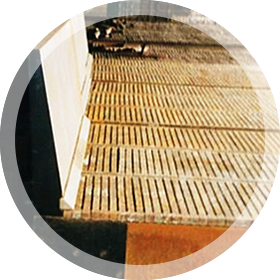 Adoption of a structure that allows the placement of grate bars at the extension area ensures that there will be no return fines, which occur in the area of competitor’s products, allowing for a maximum effect in production volume increases. 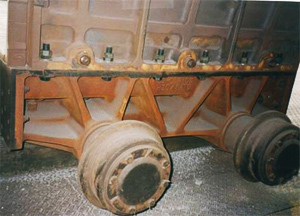 There are two types of existing pallet cars: those that are in a single unit, and those that can be separated into three pieces. 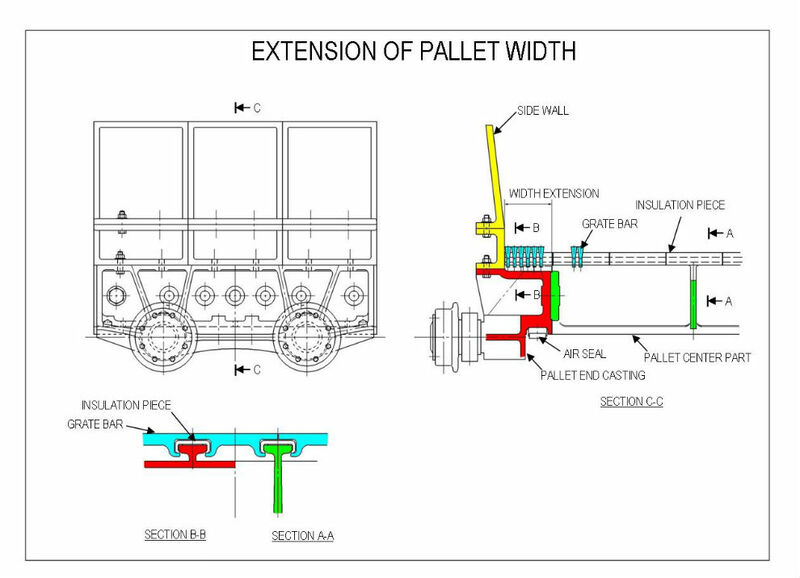 If the existing pallet car is the latter kind, only the both side-ends need to be replaced to extend the pallet width. Because the middle piece can be reused, it makes it possible to increase production volume at a low cost.